It's finally over! 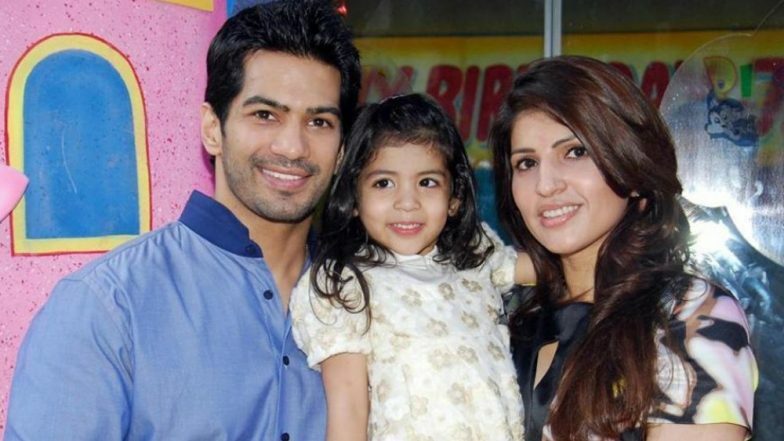 Kasam Tere Pyaar Ki actor, Amit Tandon's wife Ruby has released from Dubai jail where she was locked up for over 10 months. The celebrity dermatologist reunited with her daughter after finally coming back home. Amit visited her in Dubai's Al Raffa jail quite regularly and even spoke to the media about how he has been trying to get her out of this mess desperately. He had told IndianExpress, "Yes, she is still there and we are trying our best to get her out soon. I will be flying to Dubai next week to once again plead for her innocence." He also said, "We are really saddened by this as we believe that Ruby has been framed. She has been doing a wonderful job and someone levied false accusation on her which caused the trouble. We believe in the judicial authorities and are hopeful that she will be back home soon." Ruby had a lot of celebrity clientele, Mouni Roy being one of them. Mouni even visited her in prison a couple of times, before her hectic shooting schedule started and put up a couple of emotional posts on her Instagram about how she misses Ruby a lot. Ruby fell in legal trouble after some Dubai Health Authorities complained against her. In fact, even her bail application got rejected once. Well, we're glad that the dermatologist finally reunited with her husband and daughter. Amit and Ruby had just announced their separation after 10 years before she fell in the legal mess. Though none of the actors or Ruby have mentioned anything on social media yet. We would love to see a family picture of Amit and Ruby with their daughter. What are your thoughts on this? Tell us in the comments below and stay tuned with us for more.